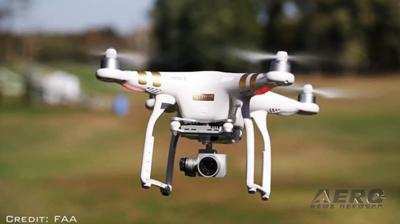 The FAA is warning drone owners and operators they may face significant fines if they interfere with emergency response operations in the areas affected by Hurricane Florence. Many aircraft that are conducting life-saving missions and other critical response and recovery efforts are likely to be flying at low altitudes over areas affected by the storm. Flying a drone without authorization in or near the disaster area may unintentionally disrupt rescue operations and violate federal, state, or local laws and ordinances, even if a Temporary Flight Restriction (TFR) is not in place. Allow first responders to save lives and property without interference. Government agencies with an FAA Certificate of Authorization (COA) or flying under Part 107, as well as private sector Part 107 drone operators who want to support response and recovery operations, are strongly encouraged to coordinate their activities with the local incident commander responsible for the area in which they want to operate. If drone operators need to fly in controlled airspace or a disaster TFR to support the response and recovery, operators must contact the FAA’s System Operations Support Center (SOSC) by emailing 9-ATOR-HQ-SOSC@faa.gov the information they need to authorize access to the airspace. Coordination with the SOSC may also include a requirement that a drone operator obtain support from the appropriate incident commander. nature of the event (fire, law enforcement, local/national disaster, missing person) and the pilot’s qualification information.